The Jusou’s disturbing visuals will surely make you feel sad, frightened and a bit depressed. In this point-and-click J-horror game, you will be exploring a haunted house soon after realizing that someone’s inside. As you explore each room, you will have to solve puzzles to know the reason behind the disappearance of all members of a family. There are several jump scare moments and they get triggered once you solve puzzles in each room. There’s also a phone mode where you can attend a call of a ghost. The voice of the ghost is very terrifying, and you may even have to put down your headphones because the weird noises and screams can become pretty unbearable. 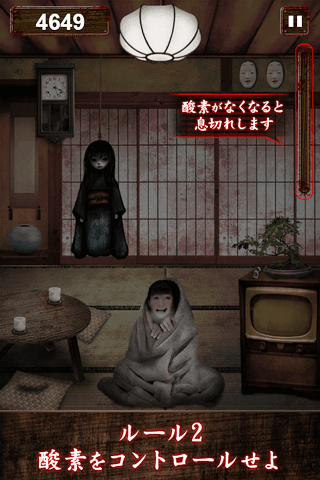 The game’s visuals and story is inspired by Japanese horror movies like Ju-On The Grudge. Puzzles are easy to solve and there’s a hint system that lets you solve one, but for that you will have to spend coins. Coins are scattered everywhere and hidden in every nook and corner of house. And if you are too lazy to explore the house for coins, then there’s always the watch advert option that lets you see a 30-sec video to earn a coin. The game’s unique graphics combine black-and-white static graphics with colored object. 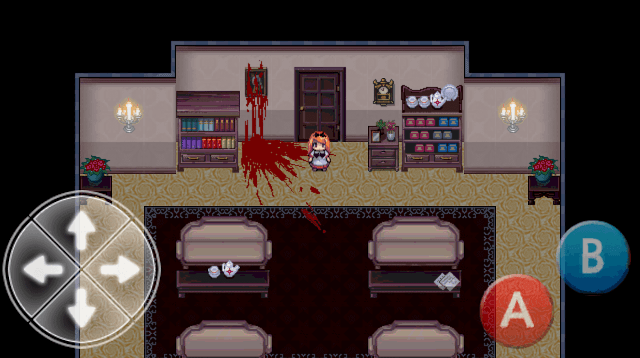 The red shoes room spooked me out, so did the child’s room. The game has a pretty scary ending. Certainly not for the faint-hearted. Curse of the Exorcist takes you to a decaying room of a very creepy abandoned building. Armed with a flashlight and holy water, you are tasked to exorcise cursed souls. The ghosts are downright frightening and appear out of everywhere, including drawers, a garbage bag and a cupboard. When you spot one, tap the screen rapidly to sprinkle holy water on a ghost before it attacks you. For every ghost you exorcise, you will get points and they can be earned by swiping its remains stuck on the screen. A new ghost appears once you reach a score target. Tap the button at the bottom of the screen after reaching a score target if you have the galls to face a new ghost. Things become extremely difficult once you unlock more than five ghosts. They keep appearing randomly and you will have to be very quick to get rid of them. scary and you never know when they will appear and spook you out. A ghost encyclopedia displays a list of ghosts that you have unlocked so far. Tap a ghost icon to know more about it. The info screen shows the points you will earn after exorcising that ghost and the amount of holy water required to exorcise it. At first the game does well in scaring players, but things may get frustratingly boring when unlocked ghosts keep appearing one after the other, making it very hard to exorcise them. All in all, Curse of the Exorcist is a good game and should be played after dark. The dreaded blue monster is back! And this time he is in an abandoned school searching for his next prey. 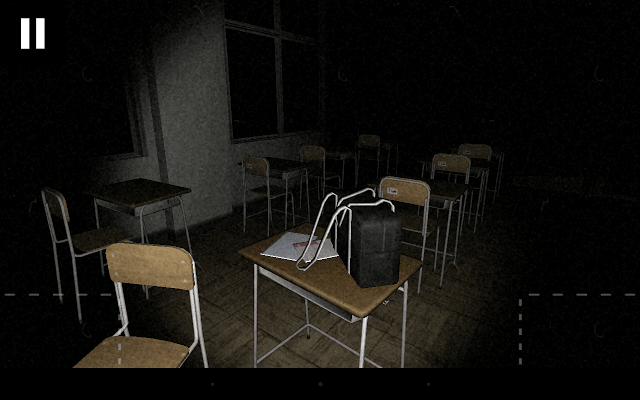 The sequel to the super scary Ao Oni takes players to a haunted school that was suddenly shut down on rumors of a “blue demon” surfaces in the building. The game starts with you and your curious friends investigating an abandoned school. While you investigate, your friends disappear and one runs away terrified after seeing the blue demon. Now it’s all up to you to find the key and escape before Ao Oni stalks and kills you. The game has a typical top-down graphics and chibi characters. Old-school visuals remind me of popular Asian horror games like Hide & Seek and Owl Head. There are several logic-based puzzles to keep you busy for hours. When you spot the blue demon, make sure you flee from the scene, else it’s game over. Ao Oni 2 is very scary and not easy to play. You can get it for free on the Google Play Store. Escape from the School scared the bejesus outta me. Guess what? I played it at daytime and it still gave me the chills. I can’t imagine how scared I would have been had I played this game after dark, with the lights off and headphones on. The game is at its scariest best when you put on your earphones. It’s the spooky ambience and the sound effects that play an important role in making this game super scary. 1994 Escape from the School is a room escape type of a game. 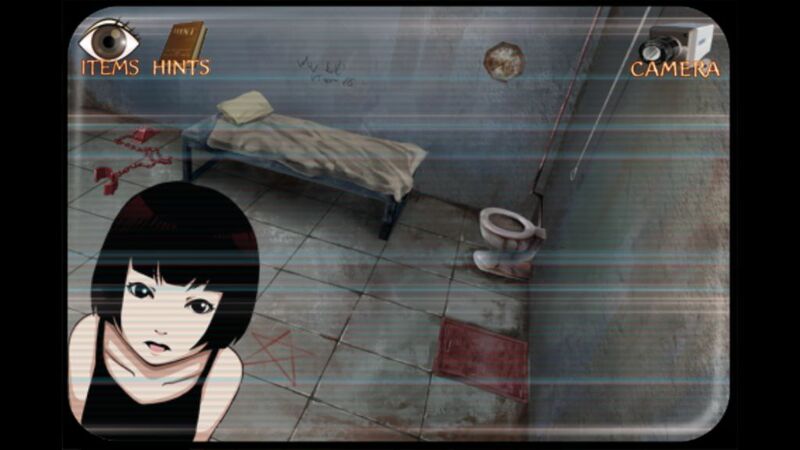 The 3D game’s haunted school setting is very reminiscent of high school J-horror movie. The infirmary, girls and boys toilets, music room and class room models are eerily similar to an abandoned Japanese school as seen in movies. 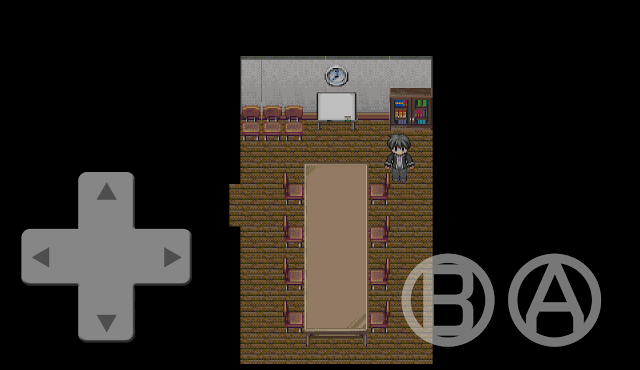 There are puzzles and clues scattered all around the haunted school and you will have to solve them to escape it. The game has no story, but there’s a warning scribbled on the green board which says to keep a safe distance from a teddy bear. There’s also a mysterious girl who keeps appearing in some locations. 1994 is one of the best room escape games I have played and there’s also a sequel called Re: 1994 Escape Again. Do check out that game for more jump scare moments, but after you finish playing the first game. Found! 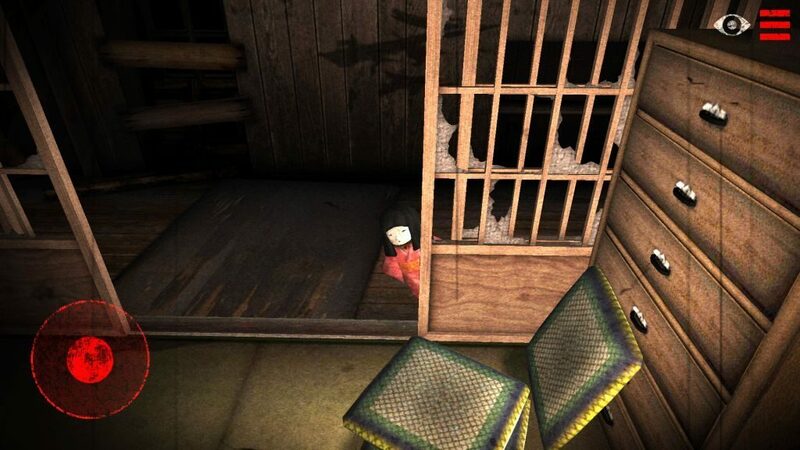 is a creepy Japanese horror game where hiding from an Onryo is almost impossible. In this game, you will have to tap and hold the face of a trembling girl wrapped in sheets to wrap herself completely from a wandering ghost. When you tap, she will pull the blanket over her head. You will have to do this before the ghost appears on the screen. 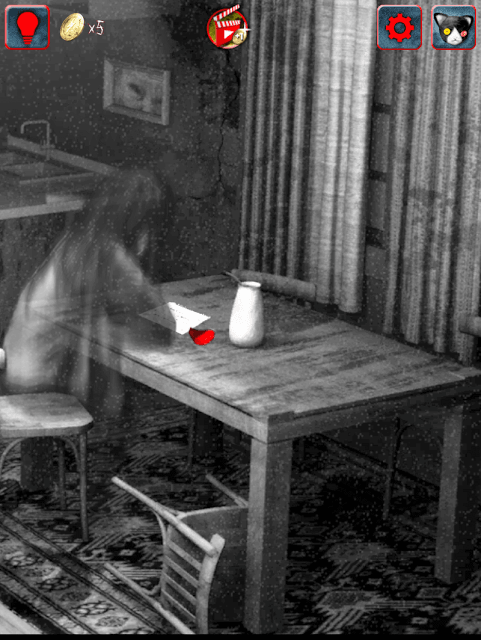 The objective of this game is to hide the girl in a blanket for a long time without being spotted by a wandering ghost. The timer at the top-left corner of the screen is actually your score. The longer you avoid being spotted by the scary Onryo, the better the score will be and the higher you will rank at the online leaderboard. Plus there are some souvenirs you can earn at the end. However, the girl can hide herself for a few seconds and will show her face once the meter to your right goes down. And if the ghost appears the moment she shows her face, its game over. You will have to decide when is the right time to hide or bring her out of her blanket. What you can do is lift your finger up immediately after the ghost leaves the room to recharge the meter so that you can allow her to hide for few more seconds after the ghost reappears. The vengeful ghost is clever and will find different ways to enter the room. She will peek from a hidden trapdoor, appear inside a pendulum clock, hang from the ceiling and glide from one corner of the room to another. She has various tricks up her sleeve and you will have to be vigilant to not let her succeed in finding the girl. 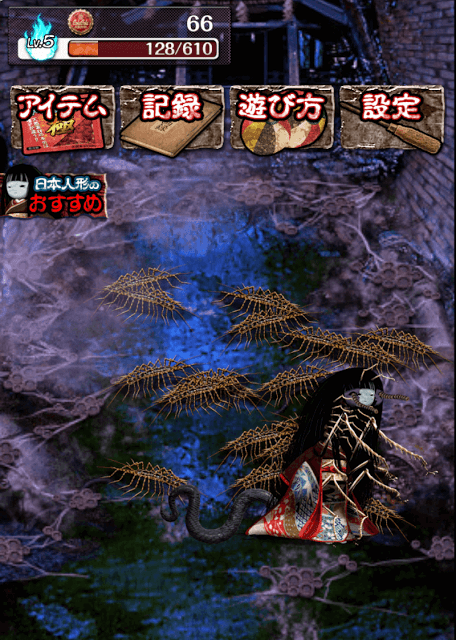 The game’s fun and the Onryo, and its various forms, is extremely frightening. Download Found! if you love hide-and-seek type of horror games. 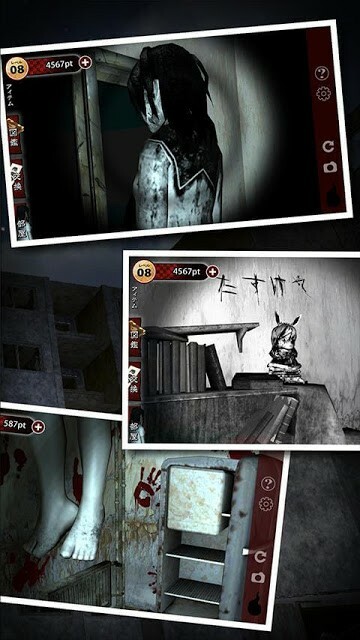 Hide and Seek: Story of Dorothy is a Korean horror RPG game from TabomSoft. 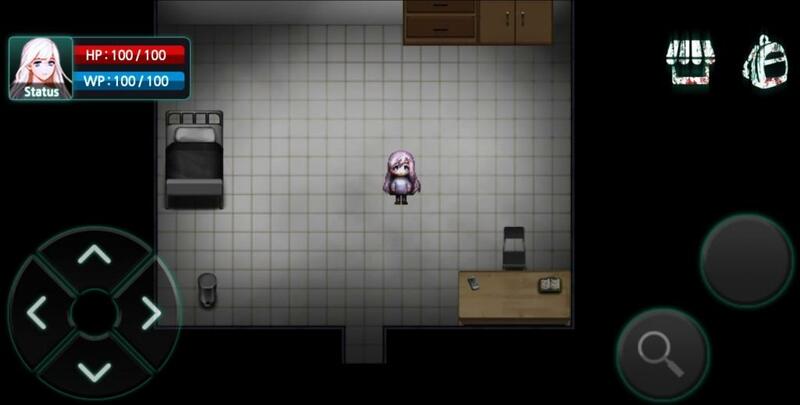 Possibly created using RPG Maker, Story of Dorothy revolves around a young girl who dozed off in a closet while playing hide and seek with her friends. When she woke up, she couldn’t find anyone and began exploring the mansion. You will have to help her explore each room, solve puzzles and discover clues to know what’s happening in the haunted mansion. The game has a very intriguing storyline and three endings, including a good ending and bad ending. The third ending is the toughest to unlock. The 2D visuals are reminiscent of old school Japanese role-playing games. The ominous background music maintains the suspense and creates a scary atmosphere. Hide and Seek: Story of Dorothy is free and can be downloaded from the Google Play store. The sequel to The Story of Dorothy is more frightening and the puzzles are harder than the first game. At first you will play the story of Gwyn and later you will be able to unlock two more story modes, each as challenging and intriguing as the other. The story takes place in Dorothy’s haunted mansion, where there’s a hidden treasure, but the protagonist is as much interested about his ancestors as the treasure. The game has multiple endings, and this time the developers have added in-app purchases that will help you solve puzzles quickly and reach the game’s true ending. You will also have to craft keys and for that you will have to search for materials to create them. There are some devious traps scattered all around the mansion so I would suggest saving the game as soon as possible. There are spooky statues where you can save the game and later continue from where you left by loading save states. 3D Kimodameshi is a pretty creepy Japanese Android game. It provides a true J-horror movie style atmosphere in full 360-degree. Using simple touch-based controls you can explore and look around an abandoned house in first-person perspective to unearth its secrets. There’s no tapping involved as events are triggered when you get closer to certain objects. The handy hint button (eye icon) can be very useful if you don’t know what to do next. It tells you which are the items of interest and you will have to move closer to them to trigger events that will certainly scare the daylights out of you. The best way to experience 3D Kimodameshi is to play it with your headphones on. Another excellent horror adventure game, Owl Head has an eerie haunted mansion setting. You will follow the adventure of a teenager and his friends who decide to explore an abandoned mansion. Taking it as a challenge, the protagonist and his friends enter the dilapidated building. The game starts when they get inside the mansion and all kids, except the main character mysteriously disappear without leaving a trace. Your objective is to search for them and explore the mansion for clues and secrets. As soon as you start exploring, a weird-looking Owl mask-wearing guy will start stalking your character. You will have to run away from him and hide your character inside tables or in a closet in one of the multiple rooms or find a way to get rid of the “Owl Head”. The mansion has plenty of rooms and some of them contain clues. Owl Head may appear randomly on any of the rooms or when the protagonist finds some clue in one the rooms. Your character can die anytime, so make sure you keep saving the game at regular intervals. Tap the back button on your Android device at the bottom of the screen to open a menu. This menu contains a section where you save your progress. Owl Head is another game made using RPG-Maker and has lovely 2D visuals. If you loved Playing Hide and Seek: Dorothy and Stranger, then you should play this game. Tabomsoft has done it again. The Korean developer has created yet another terrifying game for horror fanatics. Asylum is a nightmare-fuel game that puts you into the shoes of a patient suffering from a mental disorder. After a horrific dream about a murdered patient, the protagonist wakes up only to find herself in the same ward just like the patient was in her dream. A knock on the door sends chills down her spine and you will have to help her escape before the killer does his job. Asylum plays like a never-ending dream as you move from one ward to another to escape death. There are multiple endings, several grotesque monsters and deadly traps that will instantly kill you if you make one wrong more. What’s the mystery of this dilapidated mental institution? Why secret does the building hide? This and many more mysteries are waiting to be unraveled in Asylum. In this weird little game you will have to raise a cute looking cursed doll. But the adorable doll won’t remain cute for long. What appears to be a harmless looking inanimate object will soon turn into something grotesque as you keep evolving it. As you keep tapping snakes, giant rats and centipedes, the doll starts attacking them. You earn points for every creature squished by the doll. Once the score meter fills completely, the doll changes form. Every time your doll evolves, she appears more hideous than her previous avatar. Her attack style also changes. In one scary form, she crushed creatures with her hair. Creatures will keep appearing over time, and you will have to wait for a few seconds before you can start tapping to earn points and soft drink caps. Collect and trade these caps for a perk, which you can get by tapping the first button on your left hand side. Evolution Japan Doll of Grudge has nice hand-drawn graphics. The doll looks extremely frightening in its various forms. It’s a virtual pet type of a game, but with a scary twist. Dark Corridors 2 is a horror endless runner. The game has a creepy story which unlocks page-by-page as you keep completing mission objectives. 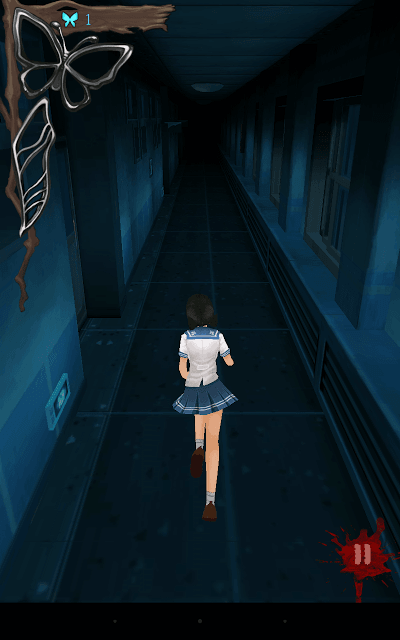 You control a school student as she runs along a dark corridor, possibly escaping from a scary long-haired apparition. The ghost follows her and gets right behind her when she trips over an obstacle. She also appears when you swipe the screen to move her instead of tilting. You should swipe the screen left or right only when you spot a corner. Don’t swipe unnecessarily or else the ghost will keep following her for a few minutes before she vanishes. There are various obstacles that will force you to jump, slide or just tilt your device to avoid dashing into them. The game switches from the school corridors to a scarier location, such as a dilapidated bridge. Once you complete a set of mission objectives, a part of the full story unlocks. You can read it by tapping the “Read Stories” button on the home screen. There are 3 unlockable characters. Each character has a different story to tell, which you can unlock by completing their story missions. If you really want to enjoy Dark Corridors 2, then you should put on your headphones and play it. Ellie: Help Me Out Please is a Japanese room escape game with puzzle elements. Developed by A-team, this short but scary game challenges you to help a poor girl escape from the clutches of her kidnapper. You only have an old TV with which you can monitor her movements. There are only two CC TV cameras installed on the room where Ellie is trapped. You will have to switch between cameras to look for clues. You will have to tap on clues to get more info and solve numeric and inventory-based puzzles. The game has two endings: A nice and a dark one. There’s a twist in the second ending, so make sure you unlock both endings for a surprise. All these games are available at the Google Play store. You just have to enter the name and install the app. If you can’t find one, please leave a comment below. We will provide the Google Play link.